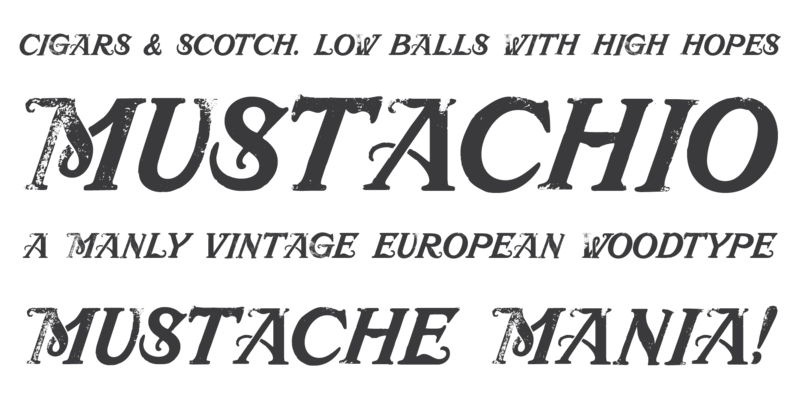 This new font MUSTACHIO is a bold new woodtype font from 20th-century central Europe, with bulging biceps, a confident, italicized swagger and stems strong enough to hold up the weight of the world. 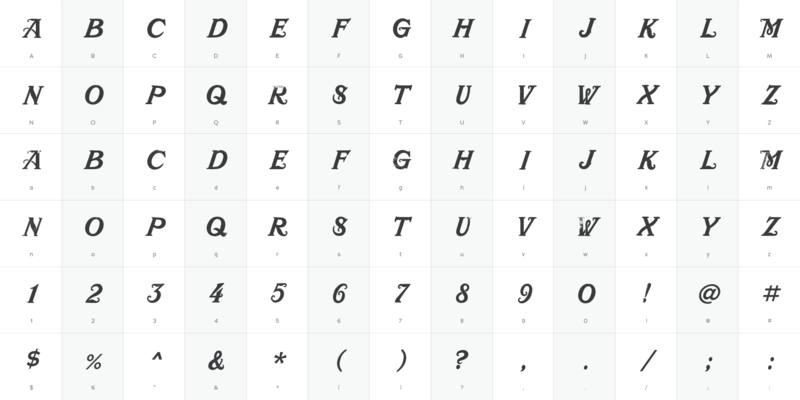 HAVE YOU EVER SEEN A FONT WITH A BUILT-IN MUSTACHE? Yeah, well here ya go, grab this big strong fella for yourself. He’s most comfortable slanted at 20 degrees, with a scotch in one hand and a bullhorn in the other. Furthermore, the uppercase and lowercase characters are all caps, but they can be used in overlapping layers with a transparency to create a duo-tone, letterpress-printed effect. So cool, so real, so wow!